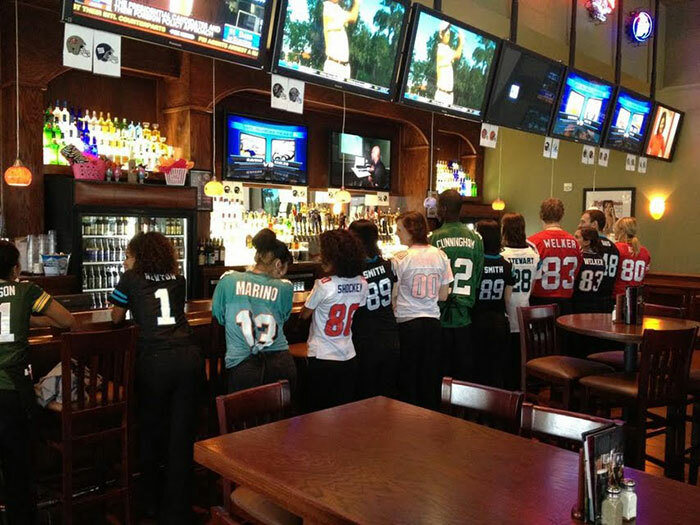 Looking for a go-to Charlotte sports bar? 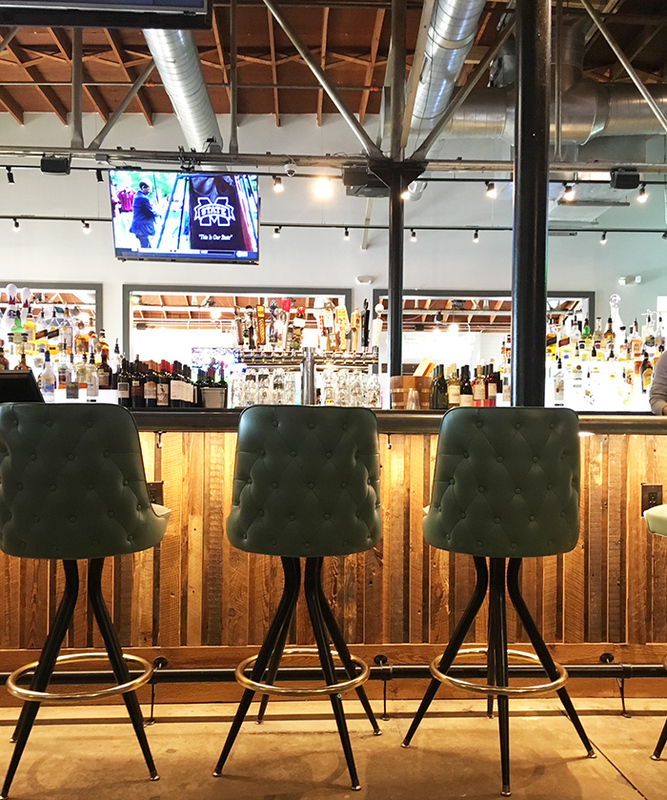 Here are the 13 best sports bars in our city. Honorable Mentions: Hooligans (#1 soccer bar), Rosemont, Ink N Ivy, Taco Mac and Whiskey Warehouse. 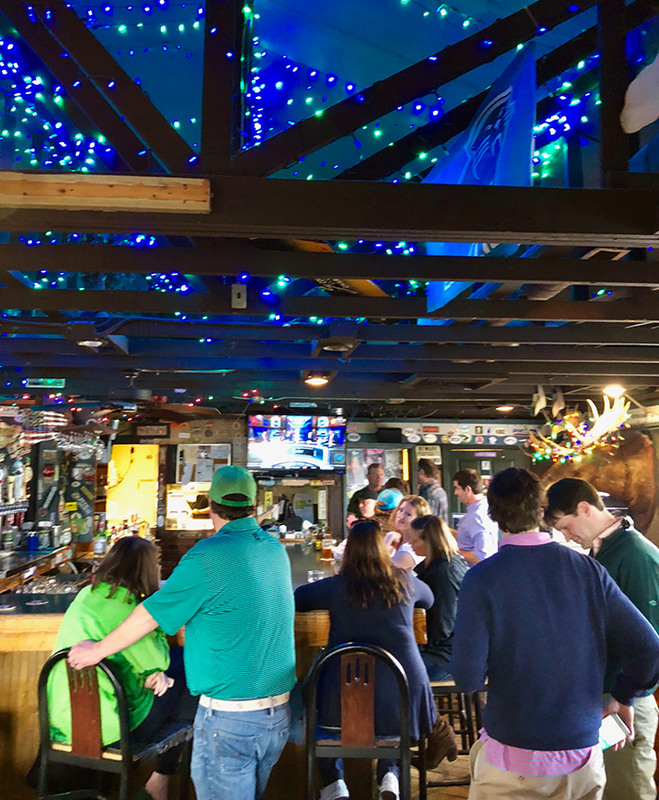 Old School Myers Park bar with a mix of bankers and frat stars. Order a transfusion to start and then settle back into the cavernous outside bench seating to watch the game. This massive Uptown sports bar has a mind-boggling number of TVs. Still thirsty after the game? 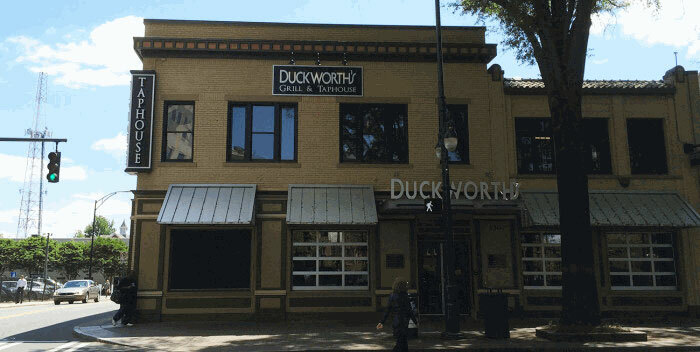 Head downstairs to The Cellar at Duckworth’s for a speakeasy vibe and cocktail. 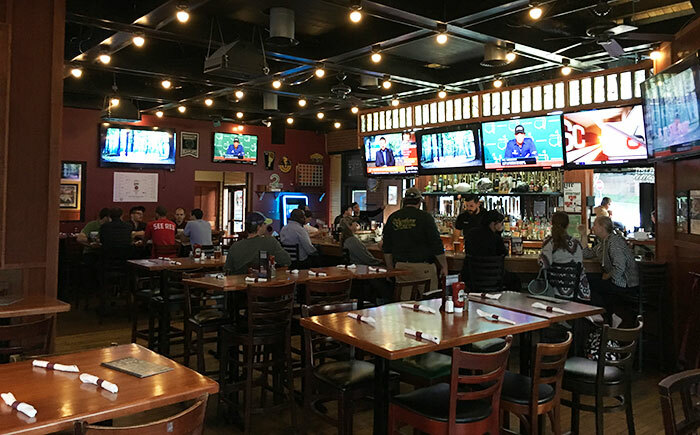 Casual sports bar with a spacious patio and roll-up garage doors for an indoor/outdoor setting. It’s a major game day destination where fans pack in to rally before home games or watch away games. 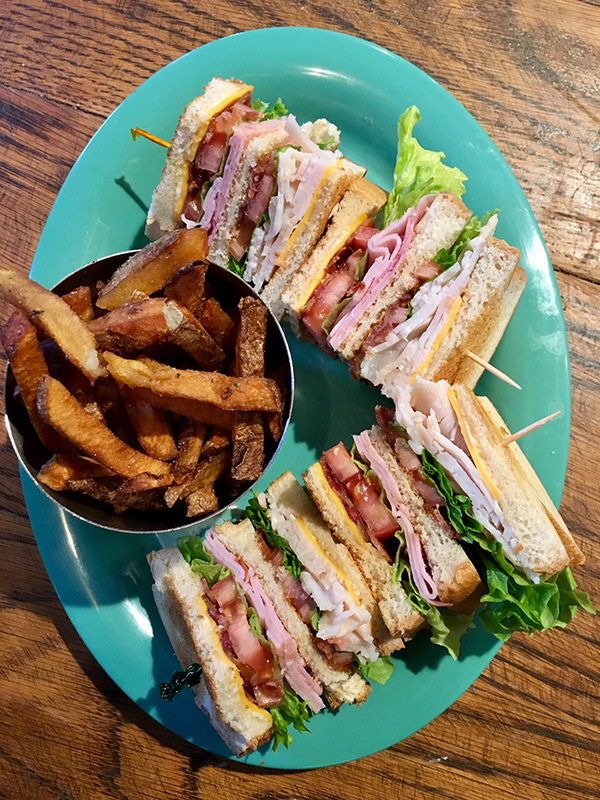 Dilworth neighborhood staple. Be prepared for a lot of Buffalo Bills fans. And order the wings of course. Old school spot on Montford. And so many regulars. 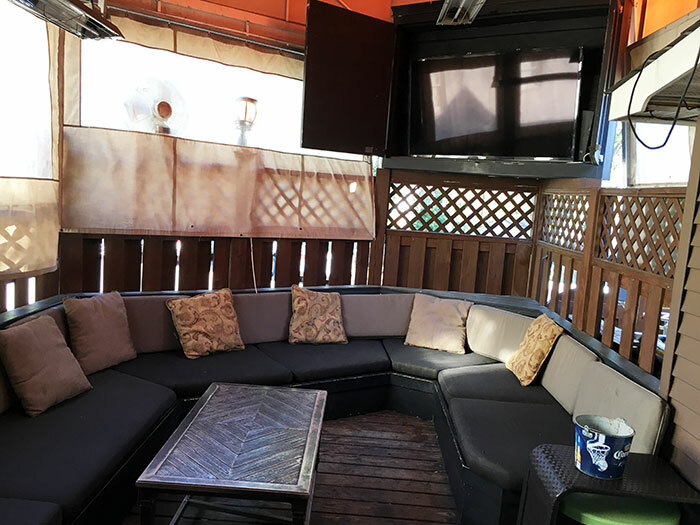 Don’t forget, they’ve also got a chill rooftop seating area if you need to take a break from watching the game. 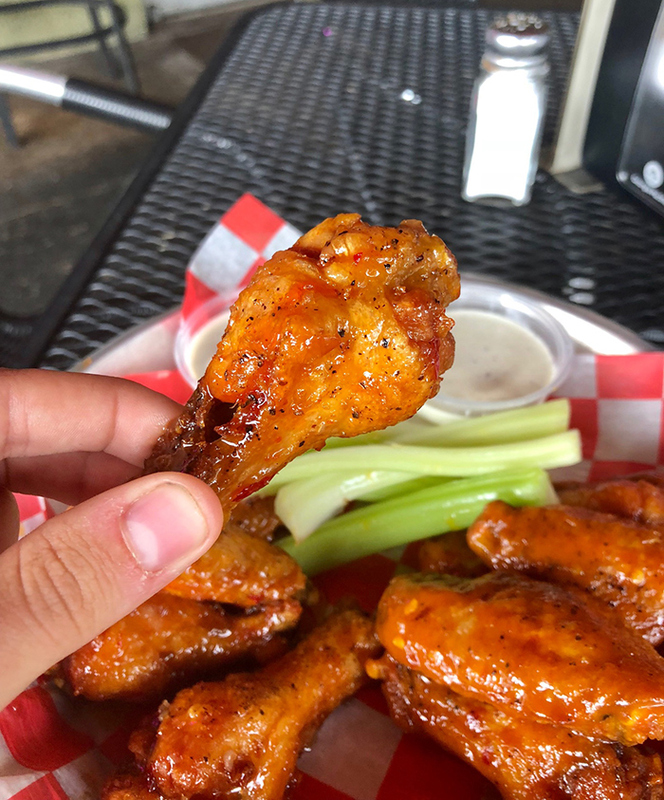 Order the wings. This casual, new rooftop bar is located between BB&T Ballpark and Bank of America Stadium. This South End spot will be packed with young people looking to have a Sunday Funday. 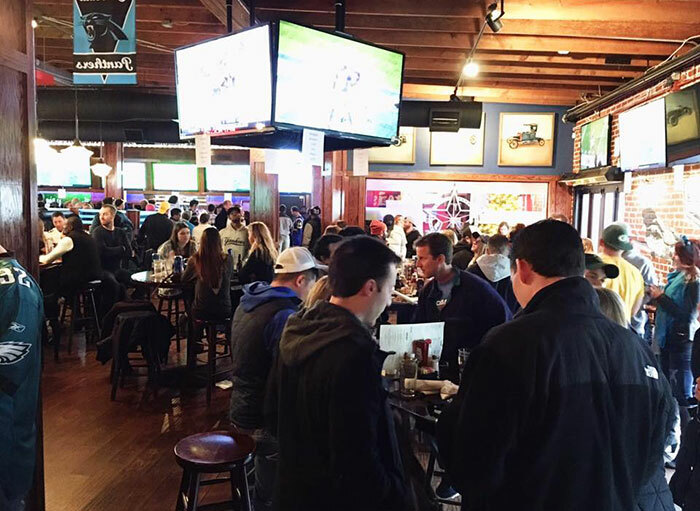 Located right on the light rail and not far from Bank of America stadium, it’s the perfect spot to rally with fellow Panthers fans. 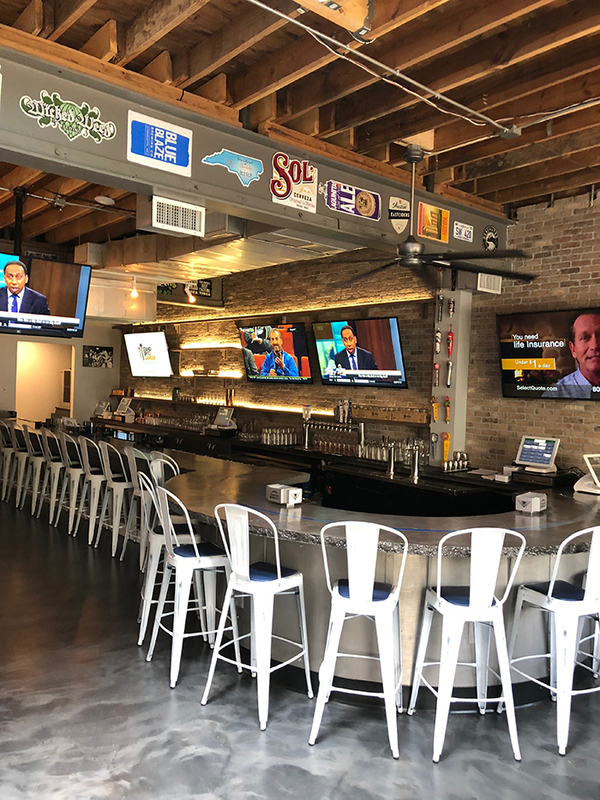 This newly renovated bar on Montford has a sprawling patio that’ll make you want to drink Bud Light Buckets all day long. 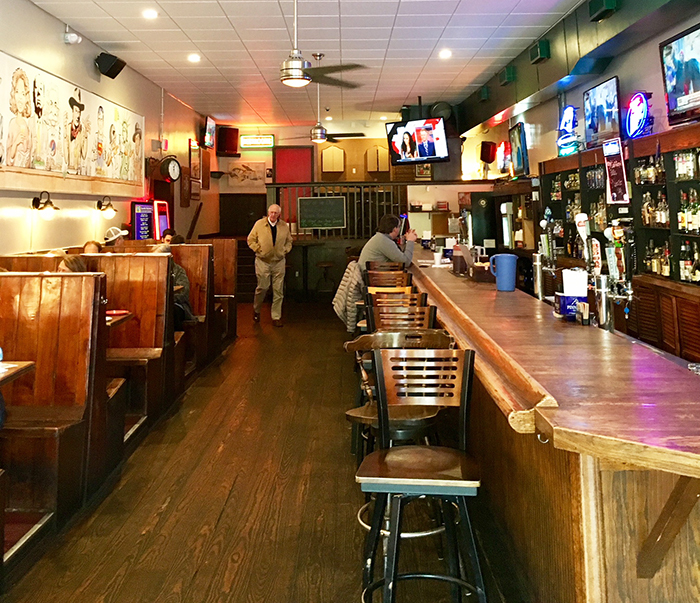 Hickory Tavern has a been a neighborhood hangout and sports bar for over 20 years. They now have 27 locations across the southeastern United States. 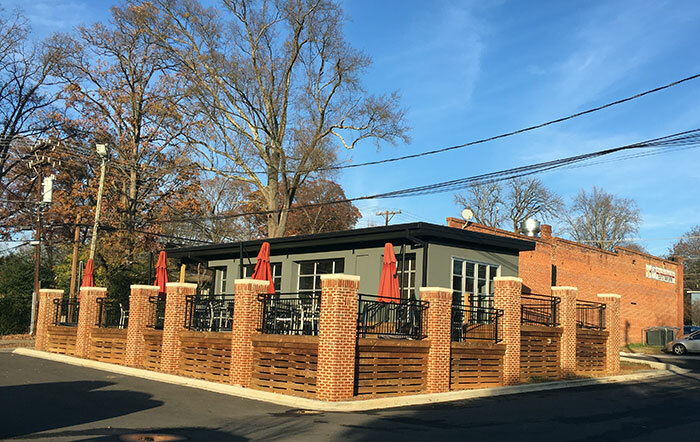 Start things off with the Bloody Mary bar and switch from inside to outside at this classic Montford spot. 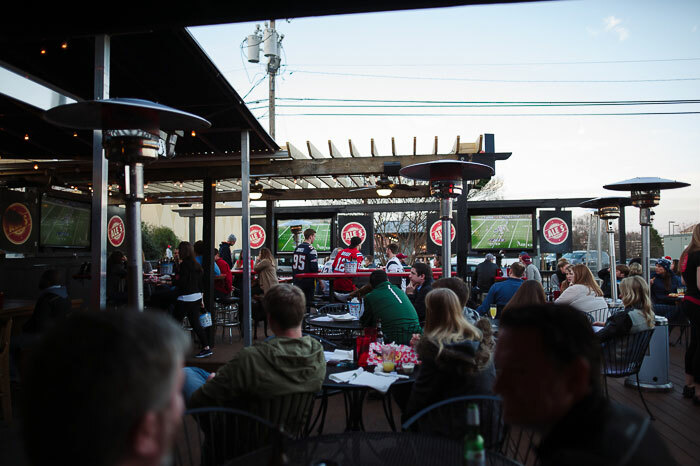 I love the chill back patio and the fact that there are three distinct areas to watch games. 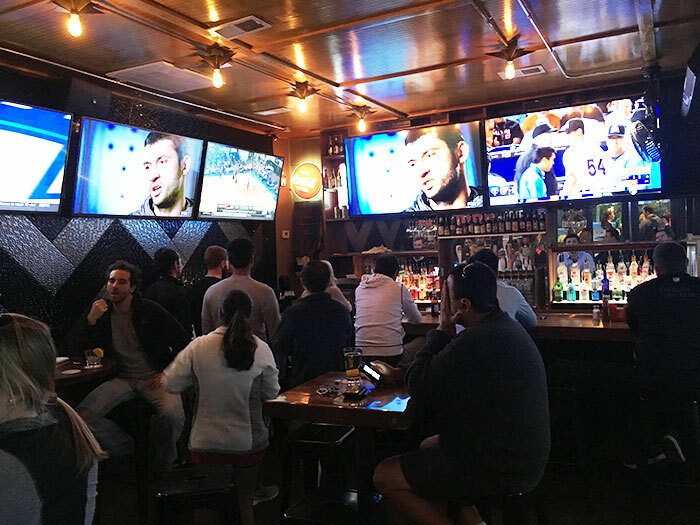 Although not really a true sports bar, this social house near OMB has become a go-to destination for casual fans that want to party just as much as they want to watch the game. Classic neighborhood hangout with plenty of TVs and a spacious patio. Old school neighborhood restaurant and bar serving Charlotte since 1933. 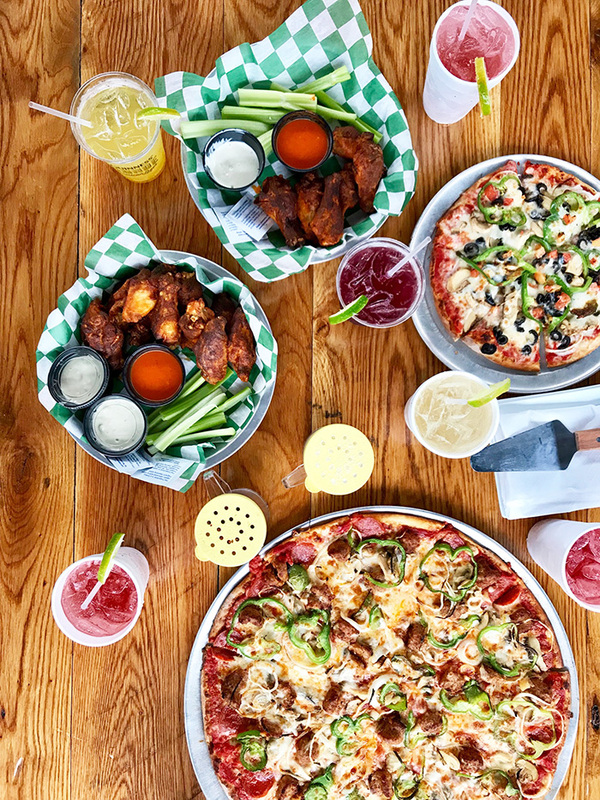 The family-friendly spot (yes, there’s a kids menu) knows parents need a bar escape, too — even with little ones in tow.